Modern robotic systems are tied to operate autonomously in real-world environments performing a variety of complex tasks. Autonomous robots must rely on fundamental capabilities such as locomotion, trajectory tracking control, multi-sensor fusion, task/path planning, navigation, and real-time perception. Combining this knowledge is essential to design rolling, walking, aquatic, and hovering robots that sense and self-control. This book contains a mathematical modelling framework to support the learning of modern robotics and mechatronics, aimed at advanced undergraduates or first-year PhD students, as well as researchers and practitioners. 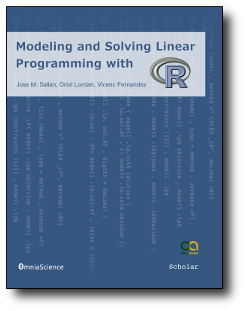 The volume exposes a solid understanding of mathematical methods as a common modelling framework to properly interpret advanced robotic systems. 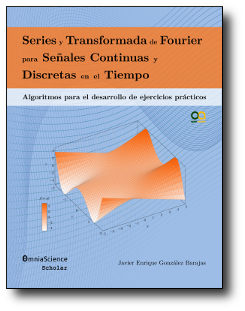 Including numerical approximations, solution of linear and non-linear systems of equations, curves fitting, differentiation and integration of functions. The book is suitable for courses on robotics, mechatronics, sensing models, vehicles design and control, modelling, simulation, and mechanisms analysis. It is organised with 17 chapters divided in five parts that conceptualise classical mechanics to model a wide variety of applied robotics. It comprehends a hover-craft, an amphibious hexapod, self-reconfiguration and under-actuation of rolling and passive walking robots with Hoekens, Klann, and Jansen limbs for bipedal, quadruped, and octapod robots. 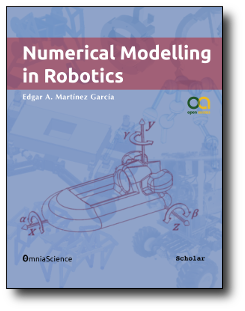 This entry was posted in scholar and tagged Edgar Alonso Martinez Garcia, modelling, numerical, scholar, robotics. Bookmark the permalink.